Addressed as Hypotension in the medical terminology, low blood pressure is a condition in which the blood pressure remains below optimal blood pressure (below 90/60). If you think that your blood pressure is low, then these symptoms may indicate you have a low blood pressure problem and you must meet the doctor as soon as possible. The blood pressure reading is observed by two numbers. The first number of the reading indicates the measure of systolic pressure. The systolic pressure is the pressure measured when the heart fills arteries with blood with each beat. Another number of blood pressure reading indicates the measure of diastolic pressure. It is the reading of the pressure in the arteries when the heart takes rest between beats. The ideal blood pressure reading should be below 120/80. If healthy people face the low blood pressure problem without experiencing any of the above-mentioned symptoms, then there is no need to worry about it. Low blood pressure with symptoms is quite concerning because it can be a symptom of other major diseases. Elderly people must meet the doctor if they experience low blood pressure. The flow of blood towards the brain, heart, and other important organs can get reduced due to low BP problem and therefore, it should be treated as soon as possible. 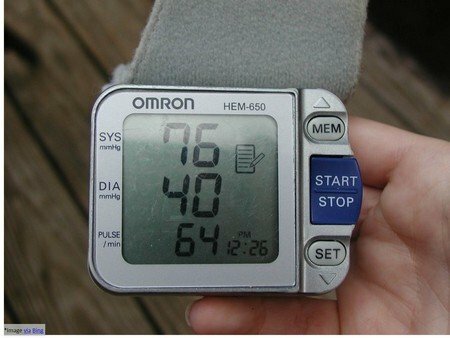 What if the blood pressure drops suddenly? If the blood pressure is low for a long time without any symptoms, then it is fine because it will not cause any kind of health issues. You must worry if the blood pressure drops suddenly. Your brain will not receive an adequate amount of blood. It will cause symptoms such as dizziness and it happens quite often when a person stands up too quickly from the sitting position. This problem related to low blood pressure is known as postural hypotension in the medical terminology. You should immediately meet the doctor if you experience any of the symptoms mentioned in this article. The symptoms can increase and you may face more troubles if you don’t meet the doctor. Often people use prescription drugs and then they experience low blood pressure symptoms. In such condition also the doctor’s support is necessary because the blood pressure can get low and cause troubles. In case the blood pressure gets too low, there are chances that the vital organs of your body will not receive enough blood to function properly. The lack of oxygen will cause further damage and ultimately it will result in the impair depraved functioning of the brain, heart, and the respiratory system. People often go into shock or lose consciousness, when their blood pressure gets severely low. You should not take any risk with your health and you should immediately meet the doctor as you experience a low blood pressure problem.